Pez Electrical Limited are based in Guildford and also available to work in all surrounding counties. We undertake all aspects of domestic and commercial electrical work and pride ourselves on providing you with excellent customer service with competitive rates. Our services include everything from additional sockets, fault finding, inspection and testing to full rewires with new fuse boards. We also have a lot of experience installing LED lighting. We are Part P qualified and we are a member of ELECSA and all our work is carried out in accordance with BS7671. Please contact us any time for a free, no obligation quote or simply to ask any questions regarding electrical work! Ross visited, discussed small job of changing old kitchen lights to LEDs and job was completed promptly as agreed. Highly recommended. Very pleased with the efficiency and professionalism in the work of Pez Electrical team, they are always reliable, friendly, hard working and get the work done properly on time. Recommended them to anyone who wants fully qualified electricians. Ross and team re-wired our entire house. They were flexible around other trades people and our schedule, and were helpful when deciding things like how many lights we needed and where switches and sockets should go. They were very friendly and incredibly professional and reliable. I would definitely recommend them. I have used Pez several times both in my own house and also for a large community charity building. I have always found everyone at Pez to be helpful, hardworking, trustworthy and skilled. I highly recommend them. Hi Scott, thanks for the kind words. It's pleasure to work with you as always. Repairs to coach lights in driveway. Nathan arrived on time, did a quick, clean job and explained what he did. Thanks! Thanks for taking the time to leave us some feedback Daniel, it's always nice to hear about the quality our teams work. Ross and the guys have been great working on a re-furb project. Flexible with the time that they spend on site, and what is done when. They have worked really well with other contractors, and very accurate with quote and invoicing. We had to work a little around other jobs that they had on the go, but that was fine as they were also trying to make time for us when we really needed them to. Since moving into a property that needs a lot of renovation I've used Ross and his team on several occasions and will continue to do so. They always arrive on time, are polite and professional to deal with. So far they've; installed a new modern circuit board and up updated the necessary wiring, Installed new sockets with routing in four of the rooms around the house, added fluorescent lights to our loft and fixed the wiring to our garage. I would definitely recommend them to others. We're glad to have helped you out Andrew and it's handy to be so local!! 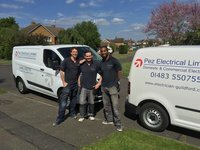 Pez Electrical Ltd fixed various issues for us, we found them to be very professional and would not hesitate to recommend them! The electrician (Nathan) came on time and put up lights in our living room and in the bathroom. He encountered some problems due to incorrect wire labeling and the lack of an earth wire in the bathroom. He found dangerous wiring in the attic which he replaced. He worked quickly and clearly explained the problems and what he was doing. Excellent work at a reasonable price. 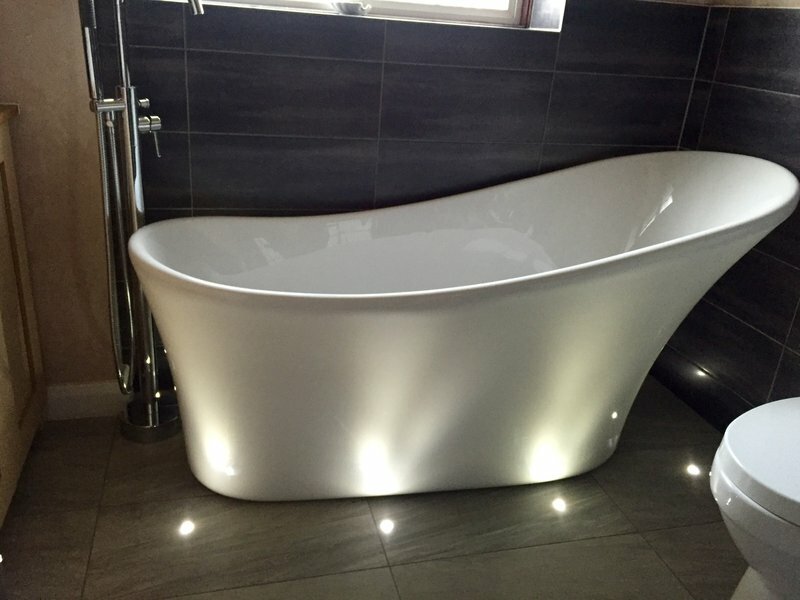 Ross and his men (Jordan and Mark) installed an electric bathroom towel rail and an outside intruder light. 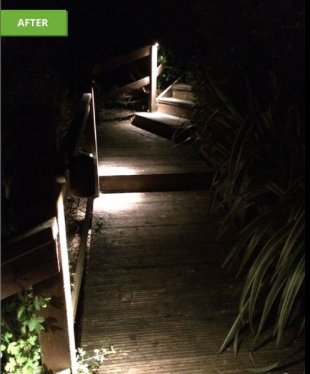 They turned up promptly when they said they would and carried out the work to our complete satisfaction.